Cheap pocket bikes have arrived. Many users and much choice has lead to this popular bike becoming a good value bargain. Pocket bikes are powerful items and make sure you buy well, a cheap bike could be a nasty bike. By this I mean it could be damaged very badly but look ok on first appearances. 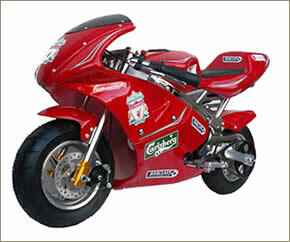 Bargains are to be had, so anyone that’s looked after their used pocket bikes are the ones to buy from. Cheap pocket bikes are amazing for kids and adults alike. From 70cc mini dirt bike rides to much larger engines - many manufacturers will have dirt pocket bikes available to you. Its worth noting that a dirt pocket bike is vastly cheaper than a full sized racing dirt bike. 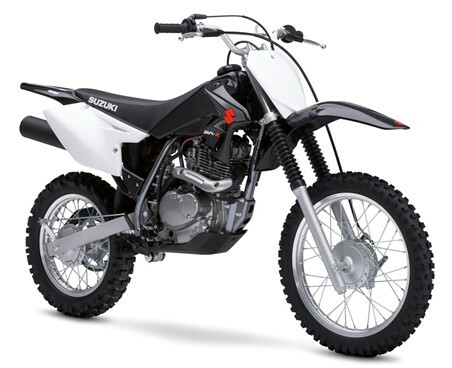 The pocket "dirt" motos of today, have very powerful engines and are not always for kids, but dirt bike repair on such smaller bikes can be easier and cost less too (unless you have a rare exotic model). When buying cheap pocket bikes look over all the dirt bike photos in the advert, with a pocket bike dirt bike ride, its difficult to get an idea of scale. You may just have to take the advertisers word. Many pocket bikes can be adjusted in any event and some good dirt bike forums can advise on a suitable make and model for you (or your son /daughter). Although the pocket dirtbikes have hard and durable dirt bike plastic and can go well on a dirt bike hill climb. Do be extra careful on dirt bike tracks, inc. races. You’re nearer the ground and your pristine white dirt bike will soon change color in a matter of seconds. Anyway we took a scout about on the web, inevitably we started at ebay.co.uk. Immediately a 49cc Mini DIRTBIKE moto SCRAMBLER for £99.99 caught our attention, this air cooled engined model has dog leg 8 spoked wheels. Included is a sports air filter, stubby sized powerful exhaust and a metal pull start with internal metal pawl too. It had an impressive top speed of 38mph, but this can be restricted to 5mph for worried dads of cheap pocket bikes. A tether that kills the bike, should the rider fall off and a key start all helps to make this a safe and speedy motocross pocket bike. Also we found a 50cc mini scrambler dirt bike which was showing a bid of £91, with only a few hours to go. It was a used model with a 2 stroke engine, pull start and disk brakes. So as you can see there isn’t much in the prices of used and the new model for £99. If anything the new one was more appealing with more features, but this of course is a personal choice when buying your cheap pocket bikes. 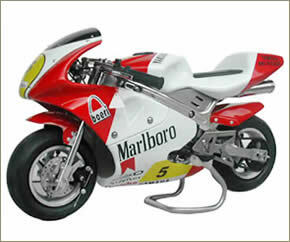 Our next website for cheap pocket bikes was mypurerush.com, which offered some new brilliant bikes. One model that caught our attention was a Dirt Cat Titan 125cc dirtbike. It has a 4 Stroke Lifan Engine, with a rear gas shock and alloy exhaust, handle Bars, Tank Cap and alloy telescopic front fork suspension. The price for all this is £449. Plus purerush have an Akuma Assassin 110cc bike for sale at £349.99 too. Spec on this includes an 110cc, 2-valve, 1-cylinder, air-cooled, 4-stroke engine, kick start, Mikuni carburettor and a fully adjustable rear gas shock. Lots more too, but the price did surprise us and this looked a very competent bike. We then went over to raceminimoto.co.uk to see what was on offer there in regards to cheap pocket bikes. Some cool non-branded 49cc, 2-stroke rides where on sale producing speeds of up to 35mph with off road tyres already fitted. Disk brakes as standard on all these bikes standing at 85cm tall and prices seemed to range from £349.99. The dirt bikes looked ok, but we couldn’t see any reviews or a bit more detail which would have been nice. A website we had never been to before was www.battlequads.co.uk. 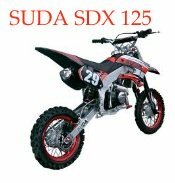 They have a new SUDA SDX 125 "stunt bike" for sale. This pitbike has a very strong frame and swing arm, plus adjustable rear gas shock and USD front forks. Complete that with some wavey disks, braided hoses and a mikuni carb it’s a nice looking moto. It’s a kick start with CDI ignition of course, and comes in red/carbon colours. Worth checking out, but do be sure its ideal for your use, as "stunt bike" is a broad expression in terms and might not refer to your exact requirements. Our final destination was extrememotorsales.com. We found a sassy starter bike for $549.99. Although not branded it had a 49cc 2 stroke producing 20mph. A pull start with front and rear disc brakes. Made from high tensile steel, the ride includes a dual exhaust, horn, gages and even a headlamp for those night time rides. We were impressed it can hold up to 330lbs so many dads can get a ride on it as well. A cheap pocket bike sale is an ideal choice. If you can get a wholesale pocket rocket bike its the BEST small bike low-cost buy! But they are hard to find; more likely check out the pocket bikes classifieds adverts and your local bike dealer / pocket retailer for sales - plus you'll get a warrantee.